Good Hearty Food at Wayside Inn | 15,000kms of Food! Been to Wayside Inn a few times for dinner, I like the casual feel and the food is hearty and delicious. Was there a few weeks ago, and here’s what we ate! I had the “Glenloth free range chicken with roast accompaniments“. 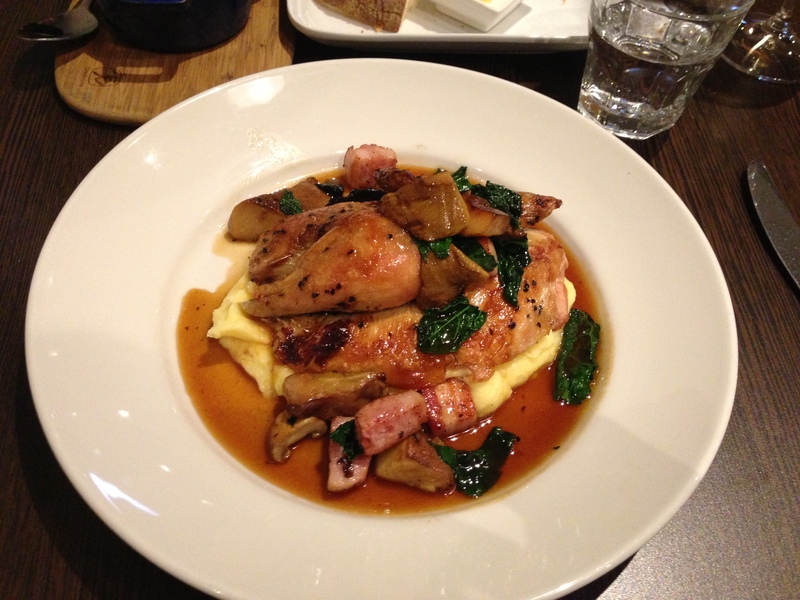 It was beautifully roasted chicken, lots of sauce and mash potatoes. It was so delicious! 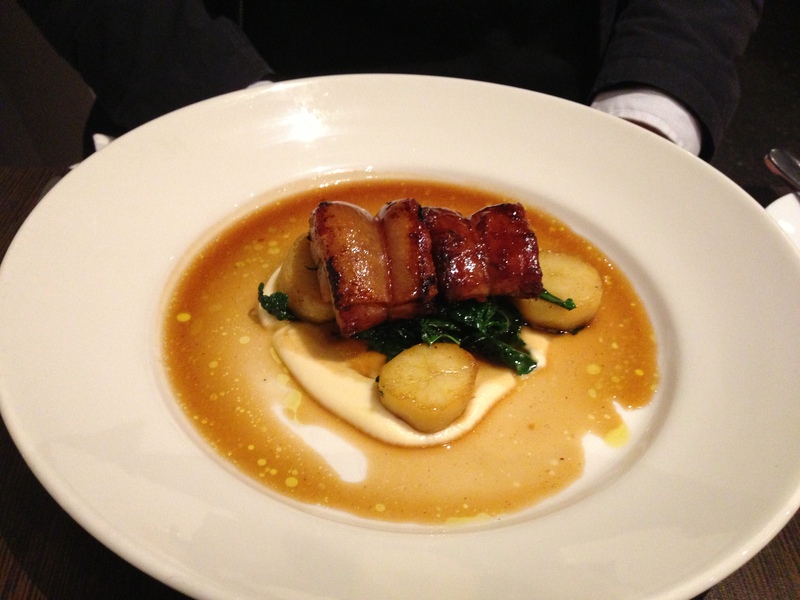 My boyfriend had the “Rotissoire du jour – Suckling Pig“. Beautifully cooked and caramelised suckling pig with veges and a light sauce. 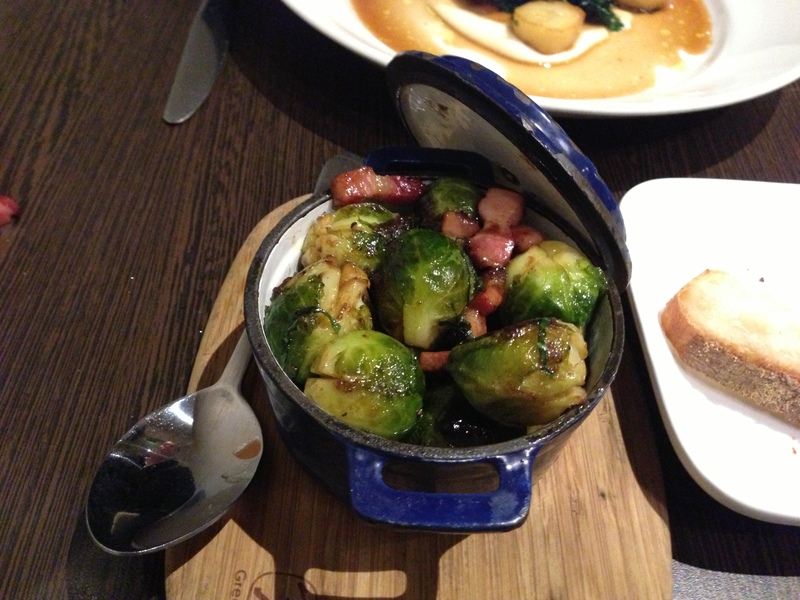 For sides, we had “brussels sprouts and bacon“. Sprouts were cooked perfectly (had a nice bite to it, not soggy) and of course bacon makes everything instantly better. I really like Wayside Inn for casual no fuss dining, highly recommend it! Go forth and dine!